Wearables (aka Wearable Technology) are a new & insanely awesome extension of electronics. These minimalistic, versatile, and detachable lights are designed to allow for a wide variety of creative possibilities and to be accessible to makers of all ages and backgrounds. 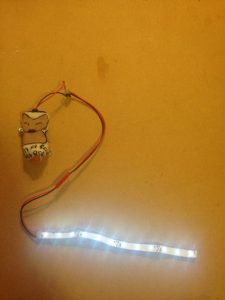 The process takes about an hour and materials costs are less than $10 per LED strip (not including the battery). Even the pooch can have a light-up sweater! 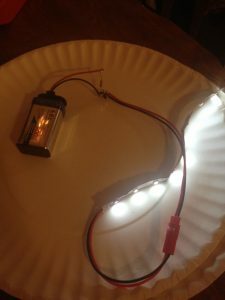 Here’s a link to purchase the specific LED strips used in this project: 12 white surface LEDs with a forward voltage of 7.4 – 15 V and forward current of 50 mA. If using different LEDs, note the forward voltage & forward current and use this calculator to determine the necessary resistance. The Tarot LED strips came assembled w/ male JST connectors, so those were the easiest & most practical. They work rather nicely for this project, and I recommend using them if you are new to electronics. So many options for switches! For this project, I suggest an SPST (single-pole-single-throw) maintaining switch (aka toggle or on/off switch). I had a DPDT slide switch on-hand so that’s what I used for this tutorial. Any battery w/ a voltage output from 7.4 -15 V works. LiPo batteries are the best (and last the longest), but are more expensive. 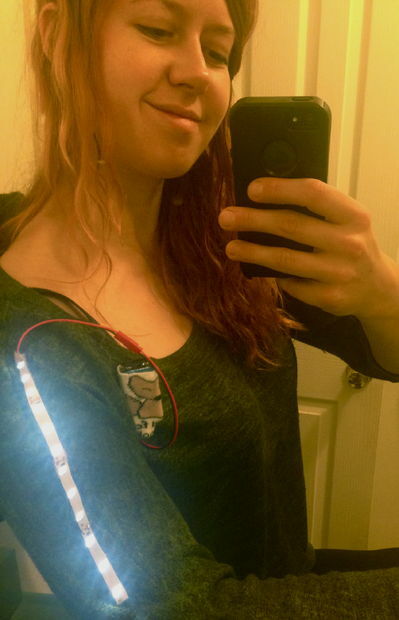 Version 1: Two safety pins & a 3″ x 2″ piece of fabric. Version 2: Strong rare earth magnet (or two). 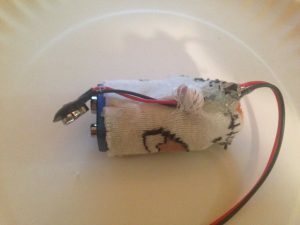 This is a more expensive but simpler alternative to the fabric battery case. 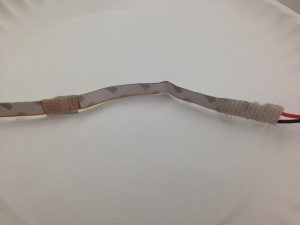 My favorite method to make extremely permanent (+ weather resistant) electrical connections. 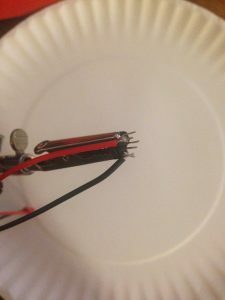 Prep: If LEDs lack wires, solder the male JST connector leads to the uppermost LED pads. Coat in a dab of epoxy or hot glue. 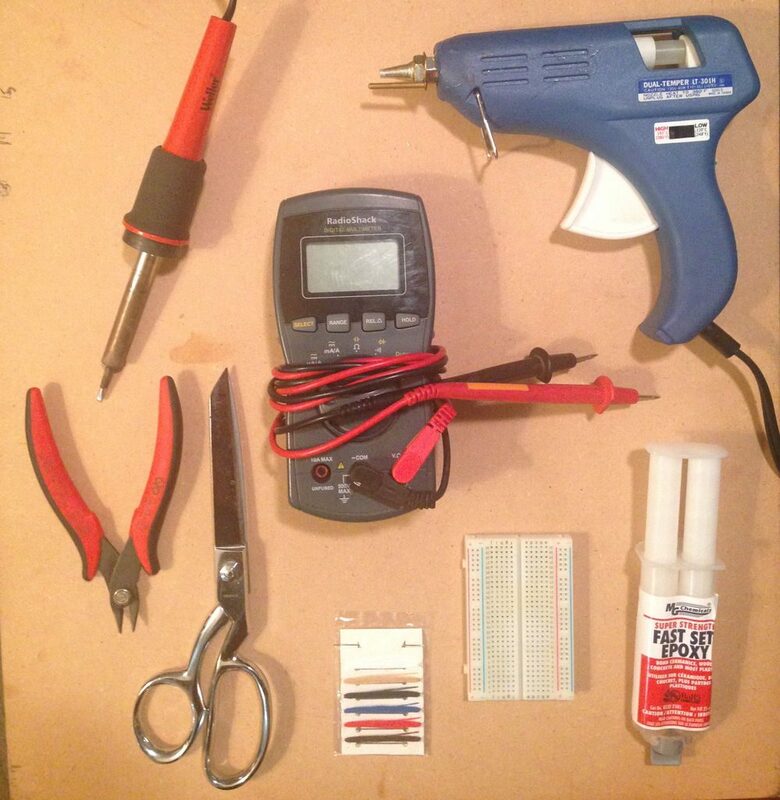 Recommended to test the circuit on a breadboard before soldering. 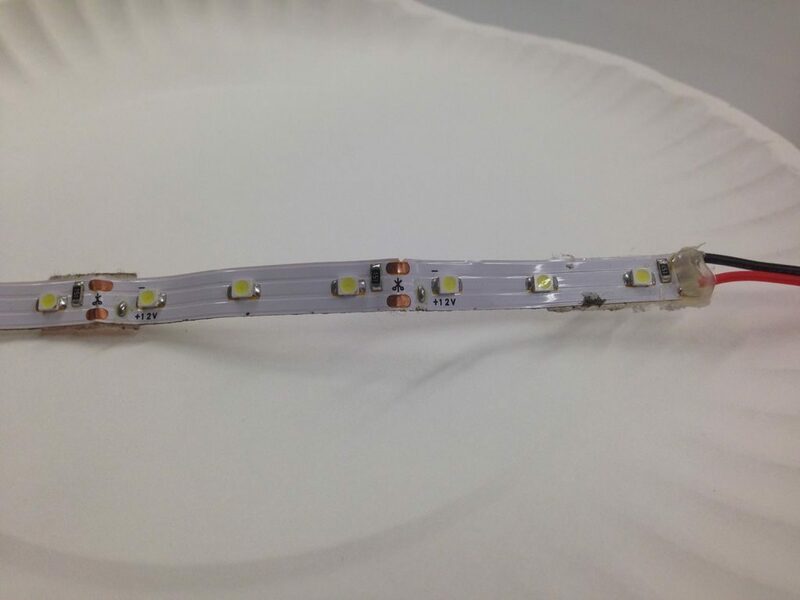 Attach sticky-side velcro pieces to LED strips. Solder the female JST connector leads to the switch. 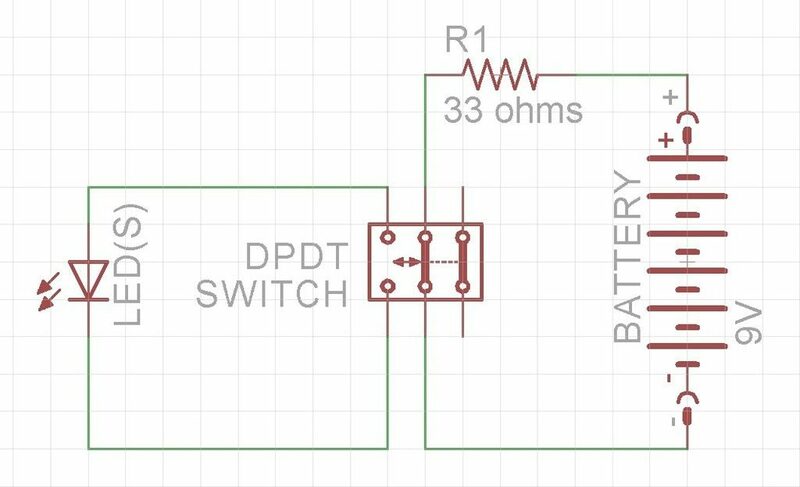 If using a DPDT switch, as in the schematic, each set of legs can control a separate circuit. 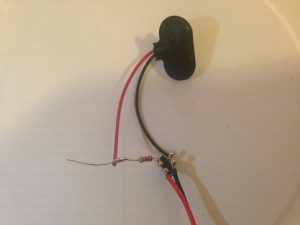 Instead of connecting ground to the switch, you can also connect the LED ground to the battery ground. This allows you to control another set of LEDs (+ resistor) on the same switch + battery. If you’re just starting out, here’s a helpful guide on switches. Solder the resistor to the middle switch pin on the same side as the positive JST wire. Solder the positive lead of the battery clip to the resistor & the negative lead to the negative middle switch pin (or connect them together). Connect LED strips via the JST connectors and check that the switch works. Coat bottom of switch in epoxy and/or hot glue.Be sure to avoid getting glue on the moving part of the switch esp. 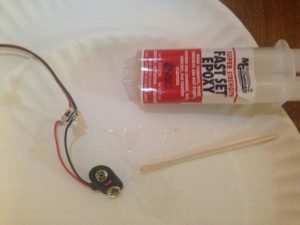 if using epoxy. Check that it can move while epoxy is drying. Sew your chosen fabric square into a pocket for the 9V. Place 9V battery in case and attach the battery clip. Sew battery clip + switch to back of fabric case (face switch outward). 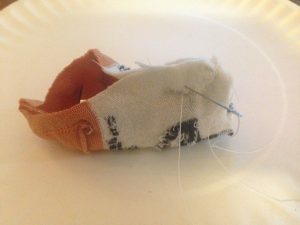 Attach safety pins to back of fabric case. Some rechargeable batteries, such as NiMH (Nickle Metal Hydride), are magnetic. 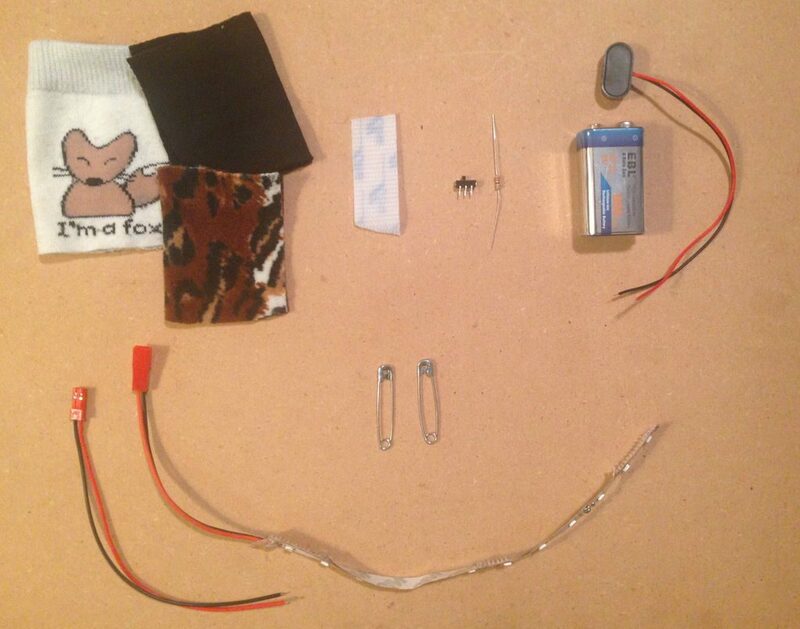 For these, place battery inside clothing, then place magnet on the outside to hold the battery in place. If the battery is non-magnetic (e.g. 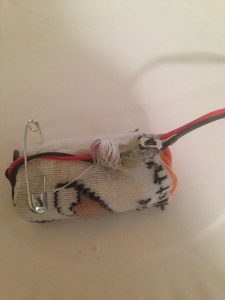 lithium), hot glue one magnet to the battery, place inside clothing, then place another magnet on the outside of your clothing. Be sure to keep the magnet when switching out the battery! Double check that the switch successfully turns on and off the LEDs. 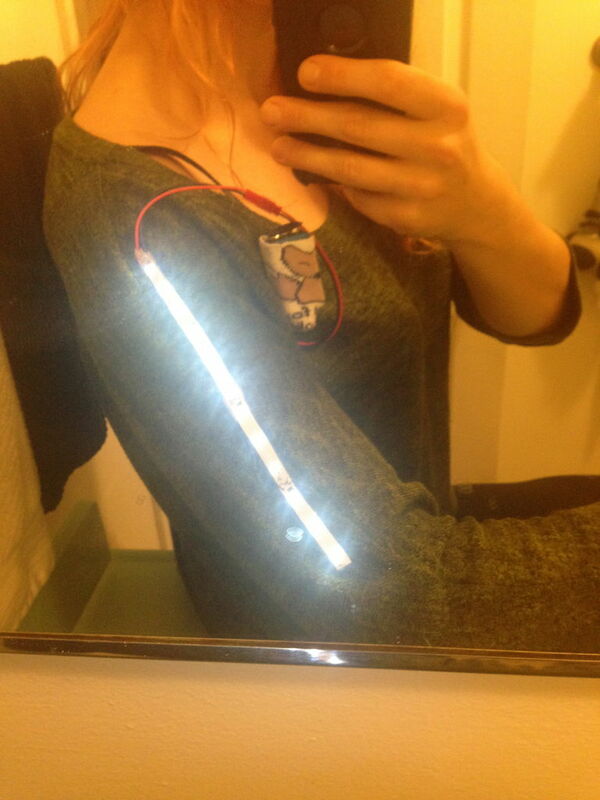 Attach the battery+switch to clothing by safety pinning (or magnetically attaching) the battery to a comfortable place. The velcro adheres best to soft fabrics, like sweaters, tights, fleece, etc. Be creative and experiment with the basic module on assorted clothing and accessories for yourself, your friends and your pet(s)!